Broom not included, face paint sold separately. 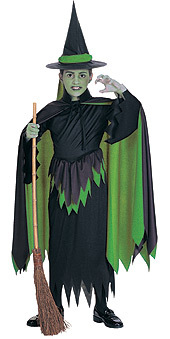 Current batch has bottle green lining and jagged edges on cape and dress have been left straight. Can cut yourself if you prefer the look as per the picture.